When is a Bond Required? United States consumers crave a variety of food from all over the world. 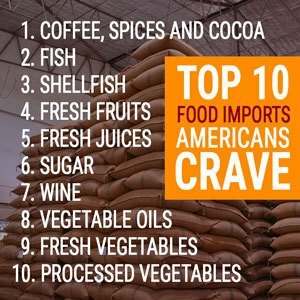 Pull up a chair and grab a plate as we walk you through the ins and outs of importing food into the U.S.
As America has become more diverse over the decades, importers are responsible for meeting food cravings by importing food into the U.S. on a daily basis. What Foods are Imported Into the United States Most Frequently? FDA Does Not Support Dietary Supplements. What is a Single Entry Bond? What is a Continuous Bond? A huge number of pounds of vegetables, organic product, herbs and other food import products enter the U.S. from different nations consistently. That food is reviewed completely before it crosses any borders. Examinations are taken care of by CBP Agriculture Specialists at ports of entry. Farming Specialists ensure the food coming into the nation’s ports are free of plant bugs and pests. The U.S. 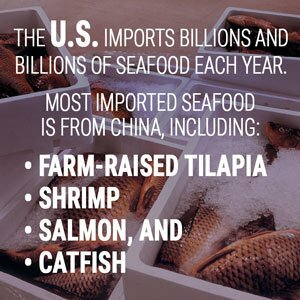 Fish and Wildlife is in charge of examining foods imported into the United States. The Department of Agriculture inspects butter, ice cream, milk, cream and cheeses. The Animal and Plant Health Inspection Service (APHIS) inspects dairy products through the Department of Agriculture. At this time, your dairy food imports will also be reviewed by Food and Drug Administration (FDA) regulations. Did you know that both cream and milk require a permit from the FDA? The country of origin must be printed on the wrapper or placed on the outside of the milk or cream carton. Are you importing milk or cream made from goat’s milk? Be prepared to have a USDA permit handy from any/all regions that are affiliated with foot-and-mouth disease (FMD). The same goes for Rinderpest disease. 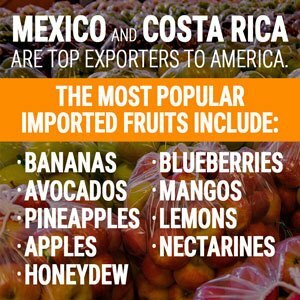 Learning how to import fruits to USA borders takes some time to learn. Nuts and fruits are more popular than you think. Many of them don’t grow here in the United States. It doesn’t matter how tiny the nuts and fruits are. They all require the necessary import documentation to become US food imports. Many fruits cannot be grown in American soil nor can they handle American climates. Countries that have warmer climates with more consistent warmer temperatures are much more suitable for many fruit crops. It’s also more cost-effective to import many fruit items because the labor costs are cheaper in other countries. Remember that fruit must be free of any visible sign of diseases. Testing of perishable fruit is performed by taking samples of imported fruit. Once laboratory testing from health and FDA safety officials receives a passing grade, the food import customs clearance process can begin in earnest. Many countries demand prior notice for importing fruits, melons, peel of citrus and more before the arrival of goods can enter the port of entry. If any fruit and nut imports do not meet food import process qualifications, those foods can be destroyed or removed from the country. Fines can incur, as well as costs involved with shipping the food imports back to the country of origin. Avoid these issues by hiring a Licensed Customs Brokers to make sure all of your import paper is correct and your American food imports timeline is not delayed. Did you know the U.S. produces more than 200 million pounds of honey annually? 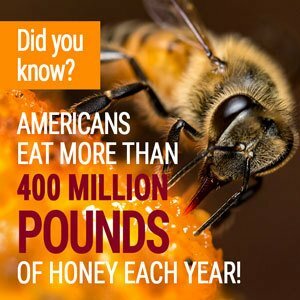 And altogether, Americans eat more than 400 million pounds of honey a year! Honey and honey bees are big business in the world of importing. Be wary of importing honey to US borders that comes from China. Chinese beekeepers use antibiotics to stop a bacterial infection from ruining the honey industry decades ago. The problem, though, is that the antibiotic, known as Chloramphenicol, is outlawed in the U.S. The drug still finds its ways onto U.S. shelves though. China can ship its honey imports to other countries before the honey is then shipped to the U.S. under a different country of origin. Importers should check labels closely for honey imports and make sure they have one single ingredient: Honey. The Animal and Plant Health Inspection Service (APHIS) does not monitor the transfer of bees as long as they are moving within the United States. However, bees are not allowed to be imported to Hawaii from the continental United States. Canada also does not allow the importation of honey bees from the United States. If you obtain the proper permit, you are allowed to import royal jelly to the U.S. for bee feeding for scientific reasons. Non-stop flights only for bees coming to the U.S. for bee importing inspections. Notify APHIS headquarters of your bee shipment 10 days before importing begins. Include the full name, address, and phone numbers of both the consignee and consignor. You need a honey bee import certificate from the birthplace of the bees, along with a manifest detailing your entire shipment. Have a “Live Bees” sticker on every side of the package. Letters must be at least 1-inch tall. You must submit a 10-day notification and a zoo sanitary certificate to the APHIS before the package arrives in the U.S. This mandate exists for express package delivery services too. Schedule an inspection and a transfer for pickup of your bee imports once the bees arrive at the airport. You should also schedule a time for a Licensed Customs Broker to pick up the bees and ship them to your approved pick-up spot. Fruits vegetables, wine, tree nuts, cut flowers, essential oils and other agricultural imports make up more than 45 percent of U.S. agricultural imports. Did you know that 20 percent of the country’s food supply can be broken down into two sections? FDA Approved. Those two words mean everything in the food business. So, how do you get the U.S. Food and Drug Administration (FDA) to give you the blessing for that phrase? Remember that the FDA does not test products or inspect food. Food importers and manufacturers of food must make sure their facilities and plants are registered with the FDA unless they have an exemption that doesn’t require it. Registering to become an FDA facility means your food process and products meet requirements that can lead to customs approval. In spite of the fact that FDA does not have premarket endorsement of nourishment items, it has the expertise to support certain food additives. Those incorporate additives for coloring and for taste quality. FDA specialists audit food additives to make sure they are safe and meet certain restrictions. Coatings, plastics, paper and types of cement, and additionally colorants, antimicrobials, and cancer prevention agents found in bundling can sometimes find their way into food from additives. The FDA must perform tests to make sure this doesn’t occur and the foods can be sold legally and are safe for consumption. This incorporates color additives utilized as a part of nourishment and dietary supplements. These shading added substances are subject by law to endorsement by the FDA, and each must be utilized for its proper use. In the endorsement procedure, the FDA assesses wellbeing information to guarantee that shading added substance is approved for its planned purposes. The FDA is in charge of approving drugs for creatures, including pets, animals, and poultry. In spite of the fact that FDA does not favor creature food additive, including pet additives, it approves nourishment added substances utilized as a part of these items. The FDA attempts to help guarantee that nourishment for creatures (which incorporates domesticated animals and poultry sustenance, pet sustenance and pet treats) is protected, made under clean conditions, and legitimately named. The FDA Food Safety Modernization Act (FSMA) requires additive organizations to find a way to keep nourishment from being contaminated. The FSMA makes sure you use sterile procedures, satisfactory sanitation and approved hardware when making additives for creatures. Dietary supplements are not looked into and endorsed by the FDA in light of their security and viability. Unless a special case applies, dietary supplements that contain another dietary fixing (a dietary fixing not advertised in the United States prior to Oct. 15, 1994) require a warning to the FDA no less than 75 days before showcasing. The FDA doesn’t endorse the food additive name, including the Nutrition Facts board. The FDA also does not endorse singular additive names before additive items are approved. However, FDA controls require data to show up on most additives, including dietary supplements. Additionally, any cases on food items must not contain false information. Producers must give the serving size of the additive and determined data about the supplement substance of each serving on the “Nutrition Facts” board of the food. Abuse of FDA’s Logo may Damage Government Law. The FDA’s logo can only be used for food that has been approved for consumer use in the United States. The FDA’s logo can’t be utilized to distort the office or to propose that the FDA underwrites any food item. What is the most imported food in U.S. states that consumers love to eat? Importers of food products are responsible for making sure there U.S. food imports are safe, clean and labeled properly according to all FDA and other U.S. requirements. 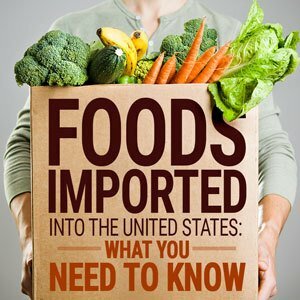 Food importers can actually import food products into the U.S. without prior approval by the FDA. This can only occur, though, if the food imports are being housed, reviewed and handled in facilities that are registered by the FDA. The FDA will review food imports when they are ready for inspection at US ports of entry. Both imported and domestic-grown food must meet the same food inspection requirements. Food imports are increasing 5 percent to 10 percent a year every year. The FDA works vigorously to electronically screen United States food imports being handled through the U.S. Customs and Border Protection (CBP). Chapter 5 of the FDA Inspections, Compliance, Enforcement and Criminal Investigations Manual will help you plan ahead to pass your food imports inspection. The FDA mandates that all imported food receive prior notification. This notification must be sent before foods reach ports of entry. This allows the FDA and CBP officials to prepare for inspections and secure food supply within U.S. borders. If the FDA does not receive prior notice of imported foods, your food imports can be refused entry and may be destroyed or sent back to the country of origin. The FDA Food Safety Modernization Act enforces this rule. The Food Safety Modernization Act was created to keep our country’s food supply safe. That’s because every year, more than 45 million Americans suffer from a foodborne illness. The FDA also started a new system that screens imports called the Predictive Risk-based Evaluation for Dynamic Import Compliance Targeting (PREDICT). This program makes the electronic screening process more efficient by focusing on products that have a higher risk of inspection needs. This makes the inspection process faster. The FDA has ramped up its efforts to inspect your food imports globally. There are more foreign site inspections that work to inspect global food imports and protect the country’s food supply chain. This program is ongoing and growing to handle food imports that are increasing 10 percent a year on average. Cargo forwarders get numerous booking demands for food shipments from everywhere throughout the world into the USA all year long. Importers looking to import food into the United States need to comprehend procedures cargo forwards use every day. Bringing in food is a more confusing process than bringing in different items because of the way that these items are identified with general wellbeing and security measure requirements. .
Foods imported into the United States must meet requirements as food made in the U.S. controls from sustenance created in the USA. The food can’t contain illegal ingredients. Additionally, the naming and bundling is extremely vital. All food bundling and marking must be accurate for customs clearance approval. Mistaken bundling is one reason that your holder can be hailed by U.S. Traditions and Border Protection (CBP) for examination. What does this mean for you? Food imports are not allowed into the U.S.
Fun truth: CBP Agriculture Specialists stop a huge number of remote pests from entering the U.S. every year. Did you know that all food and drink imported projects mandate that a Filing of Prior Notice is registered with the FDA? The best way to handle this, especially for novice importers and distributors of food worldwide, need to register with the FDA before food imports can pass clearance in other countries. Arrival notices are basically goods news announcements. Think of them as modern-day telegrams that let you know when your goods are ready to be picked up at your designated port of entry. Once you make an appointment to pick up your food imports, your arrival notice will be delivered. Why do they call it a packing list when it’s really a checklist? We don’t know. But you have to have the packing list to clear customs. Freight forwarders and shippers use the packing list to double check that your imports are ready to go. Customs officials also count on this document to check and double check your car imports. Bill of ladings (BOLs) act as guarantees for lost or damaged goods. 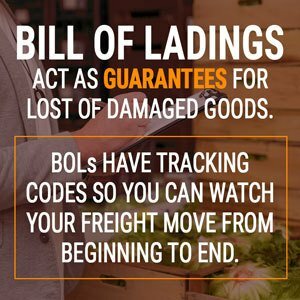 BOLs also have numeric tracking codes you can use to watch your freight move from beginning to end. The ABCs of importing is as simple as three little letters. Used at home and overseas, these letters known as Incoterms tell a customs agent everything they need to know about your goods transactions. Customs agents utilize Incoterms to speed through the food import process. Ports of entry on the east coast or west coast of the United States can be selected at any time for your food imports with a continuous bond. The location you pick is crucial for food imports that can spoil if they do not reach their final destination in time. Foods imported into the United States come from around the world. Remember that every country has its own importing regulations. When you are importing food from other countries, you must follow the rules set forth by customs agents in those countries before you can handle your importing business in America. Licensed Customs Agents help you whiz through the customs clearance process during the food importing process. When you are importing food into the United States, Licensed Customs Brokers handle your food requirements and alleviate any importing restrictions you may come across. Food needs to cross borders fast so it doesn’t spoil. You must meet food crop deadlines. You need to move through the customs clearance pipeline with the U.S. Customs and Border Protection (CBP) without any problems. Were you aware there are a couple of customs bond types available to you as an importer? Use the customs bond type that molds to your business model best for your food imports. Single entry bonds are helpful for those seeking to import freight every so often to a US port of entry. Single entry bonds are typically utilized for import shipments that occur less than four times a year and have low-cost value. Continuous bonds are the best form of action for importers that move shipments with high-cost value throughout the year. 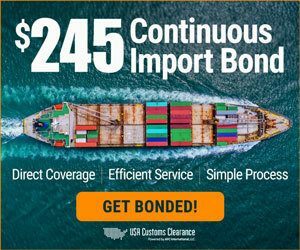 US customs continuous bonds work great for importers moving several import shipments around the world every year through multiple ports of entry. Even better? Continuous bonds are renewed automatically so you can focus on your importing tasks. You need customs bonds when you are importing food into the U.S. are required for vehicle imports. We can help you assess your importing needs and select the customs bond type that works for you. We also offer cargo insurance through our network of supply chain companies. Let us assist you with obtaining additional insurance that protects you and your overseas imports. Is the thought of importing food into the U.S. still overwhelming for you? That’s OK. Contact AFC International so our Licensed Customs Brokers can walk you through the process of you United States food imports. The importing skills that a Licensed Customs Agent offers make the importing customs clearance process much easier for you. AFC International offers a variety of customs brokerage services that work seamlessly to create an importing business model that helps you thrive. Do you have any questions for us? Click the bottom right box to chat and we can answer you immediately! Clear customs easily with us today by requesting a customs bond quote! We are here to serve you! Please, can I take a Chtristmas Cake through immigration into Pennsylvania ? Customs and Border Protection has very specific rules about bringing food into the US, even if you are carrying it yourself and not shipping it. In most cases, commercially packaged foods that are unopened and bakery items are admissable, however the CBP may refuse entry if the cake appears to be unsafe or contaminated. If you have more questions, you can turn to the CBP for more information. I’d like to bring 50 lbs of honey from Mexico to Texas for resale. What do I need to do to allow that? Hi! Thanks for reaching out with your question. If you’re importing honey for business purposes, the process can be a little different than if you’re just importing all that honey for personal use. If your import is for business, then you’ll need a customs bond. Luckily, you can buy one from us in a few easy steps. You can also chat with one of our import specialists by clicking on the button in the bottom right corner. Can I import pure unrefined honey from the Ivory Coast to the US? If the importation is allowed , what are the requirements and FDA compliance that i must follow? The answer would depend on whether you are importing the honey for personal use or commercial, and also what you intend to do with the honey once it’s in the US. Customs and Border Protection has more information and can help you with your specific case. If you are importing the honey for commercial purposes, one of our import specialists can help you with the process. Just click on the chat box in the bottom right corner of the screen and we’ll be available to help. You can use our chat feature in the bottom right corner of the page to speak to one of our import specialists. They will answer any of your questions there. Thank you for reaching out. i want to import snacks like potatoe chips, cassava chips, arracacha chips, and plantain chips and trail mixes of nuts, as well. What are the steps knowing that i dont have any company so i have to create one, and what is the spending time or lead time to achive this goal? The regulations for importing foods like the ones you mentioned are different if you are a business than if you’re importing for personal use. When you’re ready to start importing for your company, feel free to chat with one of our import specialists by clicking on the bottom right corner of the page and we can help you through the process. I like to import mango Steen and other tropical fruits from Thailand. How can o do that? Thanks for reaching out with your question. The import of Mangosteen from Thailand was illegal in the US until 2007 because of concern over importation of fruit flies. While it is now legal to import the fruit, before you ship, it must be irradiated to make sure there are no fruit flies present. Documentation of this process must be presented before fruit will be allowed into the US. Here is a helpful link with some FAQs about what is needed. When you’re ready to purchase a bond, we can help. You can buy it easily right through our website, or you can chat with us for more help. Do I have to incorp a company in US to be an importer to import food to US? As an importer, do I need FDA registration no. to import the food? Or do I make sure the manufacturing facility has a valid FDA number as fine? USACustomsClearance is a customs brokerage and is not the best source of information about incorporating your business or vetting manufacturing facilities. When you’re ready to import and need a customs bond, we’ll be happy to help. I would like to import Andean berries from Colombia. What do I need to do? The next steps would depend if you’re importing the berries for personal or commercial purposes and the volume of berries you plan to import. We offer consulting services and can walk you through the steps and paperwork you’d need to file. You can chat with us by clicking the chat button in the bottom right corner of the page and one of our import specialists will be happy to help. Is it still illegal to bring casu marzu into the United States? Although this is out of our scope, curiosity got the best of us and we did some research…it seems that casu marzu is indeed illegal in the US. Hi Patricia, we’d be happy to help. One of our import specialists will reach out to you via email and will help you through the process. © 2017 USA Customs Clearance. All Rights Reserved.